How does a special edition Acadia sound to all of you? 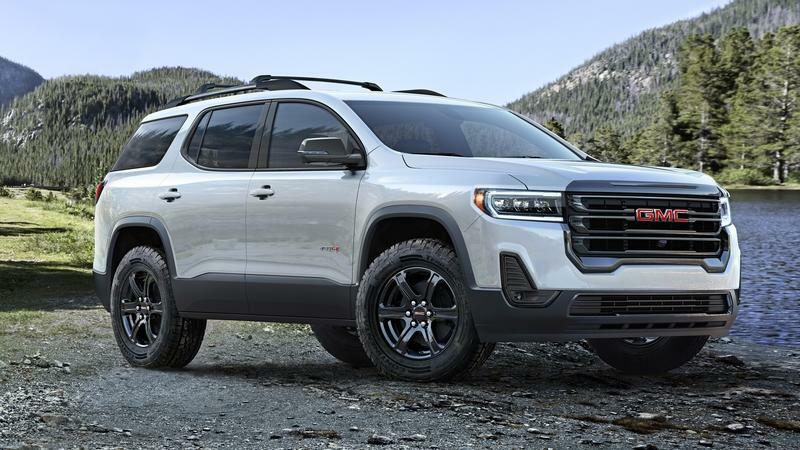 The GMC Acadia has been around since 2007 and shared its Lambda platform, powertrain, and nearly everything else besides its cosmetics with the Chevrolet Traverse and Buick Enclave. These three-row crossovers were the answer for folks wanting a less-expensive, slightly more efficient version of the Chevy Tahoe and GMC Yukon. But the Acadia is leaving the Lambda trio for the 2017 model year with an all-new platform wrapped in a slightly smaller package. It still boasts three rows and seating for seven, but it no longer directly competes with GM’s body-on-frame SUVs in shear size. The Acadia offers a reasonable staring price around $29,000 for the budget conscious or fleet buyer. But, of course, GMC offers its insanely popular Denali trim, pulling the Acadia from mommy-mobile to high-end luxury cruiser. Its chrome grille and 20-inch wheels wouldn’t look misplaced if valet parked up front. Obviously the price sees a considerable jump, too. I recently spent a week behind the wheel of the Acadia Denali. My tester came loaded with AWD, GMC’s Dual Skyscape sunroof, adaptive cruise control, automatic collision preparation, and the continuously variable real-time damping suspension. Pricing broke the $50,000 ceiling, but in modern times when vehicle pricing is getting extravagant, this loaded-out tester somehow seems justifiable. Find out how below. SUVs and crossovers became increasingly popular beginning in the 1990s. Few automakers have yet to join this profitable segment, while most manufacturers that offer such vehicles are elbows deep into providing the sportiness and chutzpah more and more customers are demanding nowadays, while struggling to keep up with the stringent fuel-consumption and CO2-emission regulations. Granted, SUVs are now more than just plain, slow vehicles designed to haul people or tackle the roughest off-road trails. Need a sports car that rides higher than usual and can carry four people comfortably? Porsche is ready to take your check and deliver a Cayenne. If legroom is what interests you most, but you also need more than 500 ponies and an off-road capable rig, then you’re better off with the Range Rover LWB. 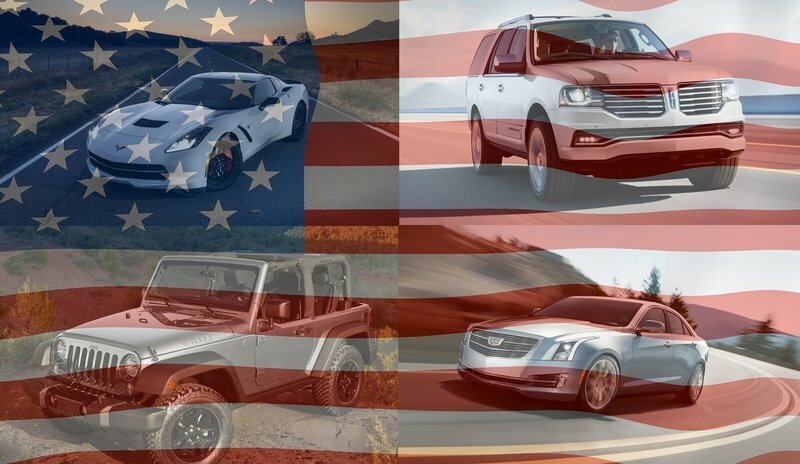 You’d rather trade British elegance and German sportiness for some American bling? No problem, you’re the reason why Cadillac is building the Escalade. There’s no doubt these are all great machines, but they all come with at least one drawback, they’re awfully expensive. That’s not to say there aren’t any affordable SUVs that can offer seating for seven people out there. There’s a handful of seven-seaters you can buy for less than $50,000 that still offer plenty of posh features. We put together a list comprising the cheapest luxury seven-seater SUVs you can buy for the 2015 model year. Check it out below and let us know which one would you pick as a daily driver. 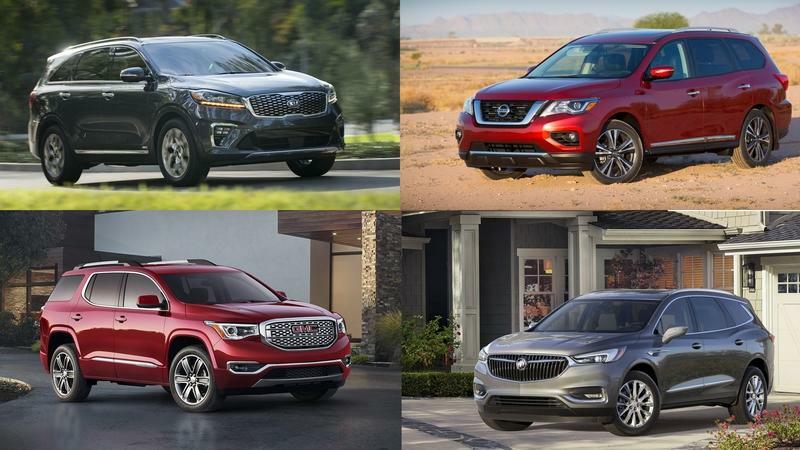 Click past the jump to find out more about the Top 5 Luxury 7-Seater SUVs priced under $50,000. 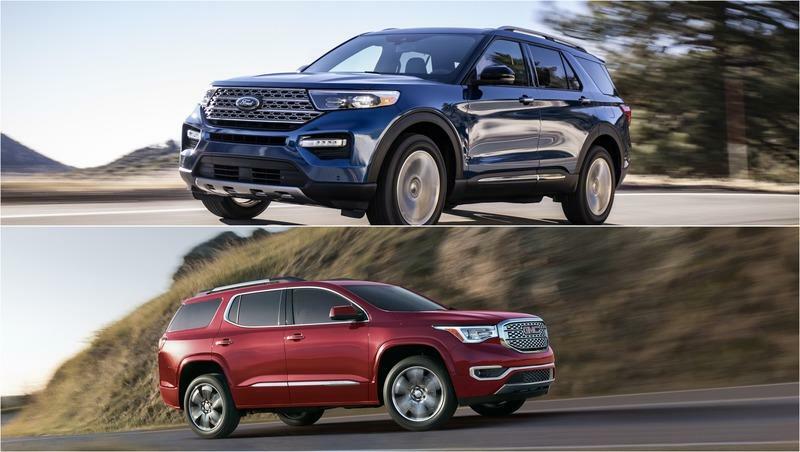 The midsize SUV market is one of the most competitive segments in the auto industry today and GMC has a strong contender with the 2014 Acadia. Combining a simple yet rugged look with a spacious interior and a powerful 3.6-liter V-6 engine that produces 280 horsepower and 271 pound-feet of torque, there’s no reason why the Acadia should be relegated as a second-tier SUV. It’s first rate all the way. Good job by GMC for keeping itself from over-thinking the Acadia SUV. It’s even smarter of the company to resist the urge of trying to one-up the competition. GMC kept things at an even keel and it worked wonders in giving the Acadia an impressive identity that’s become even more important with so many worthy competitors in its segment. 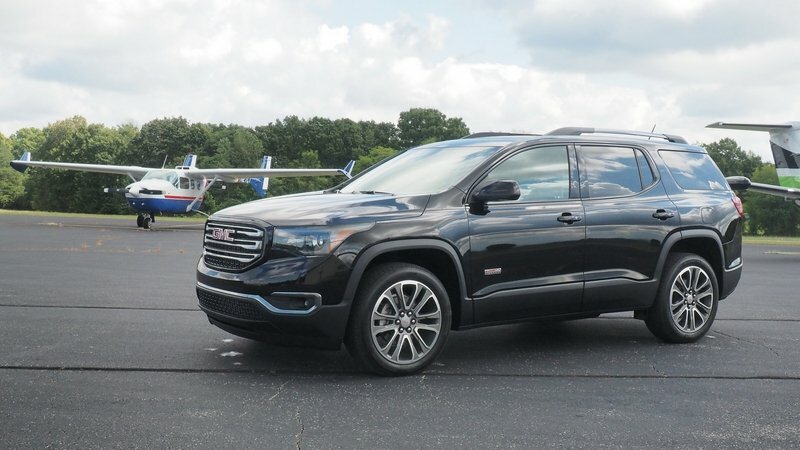 Nothing’s worse than being identified as a "run-of-the-lot" model and to its credit, GMC steered clear of doing that to the Acadia with an impressive list of features buyers ought to be interested in. 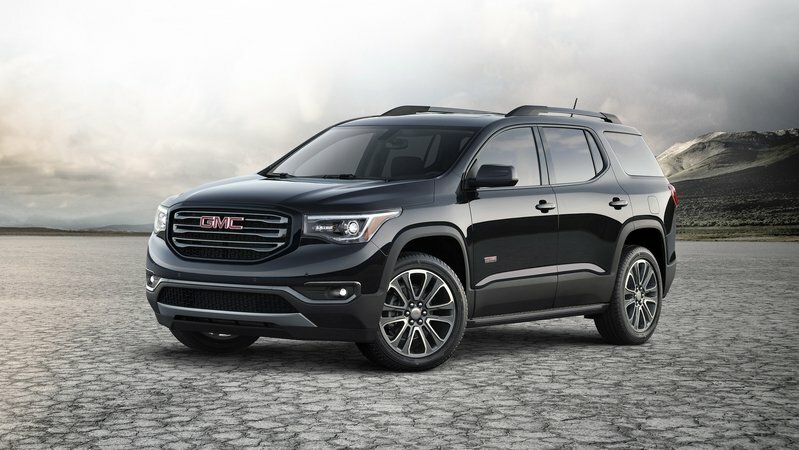 Click past the jump to read more about the 2014 GMC Acadia. 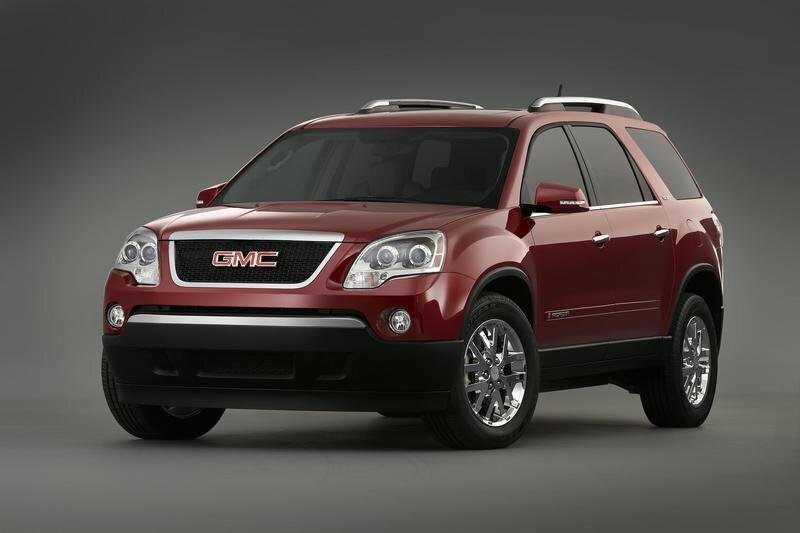 The GMC Acadia began its history back in 2007 when the standard model was first introduced to the market. In 2010, GMC added the Denali version and just one year later, in 2011, the model had the best sales in its five-year history. 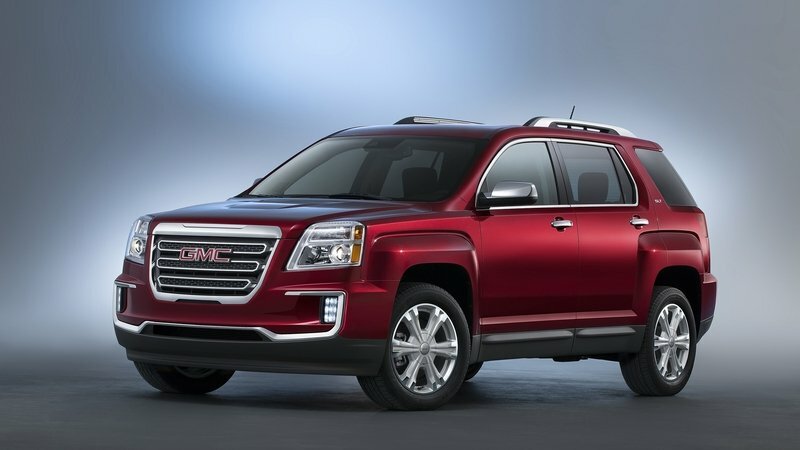 Wanting to keep the momentum going, GMC is offering some refreshing updates to the 2013 model year for both the standard and Denali versions, which it introduced at the 2012 Chicago Auto Show. Sales for the updated model began in 2013. "With an award-winning combination of space, capability and fuel-efficiency, Acadia epitomizes GMC’s ’never say never’ attitude," said Tony DiSalle, U.S. vice president of GMC Marketing. "For 2013, our engineers and designers applied that same attitude to developing the new Acadia." 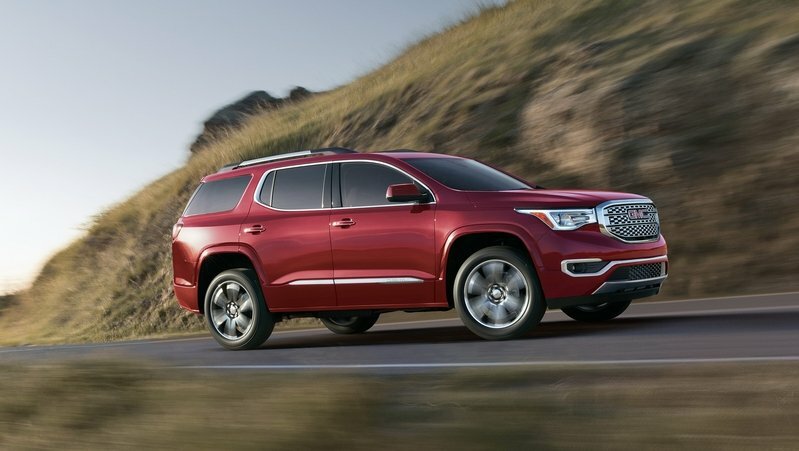 Changes for the 2013 GMC Acadia include a new exterior design highlighted by signature LED lighting, plus a refined interior with soft-touch materials, accent stitching, and ambient lighting. As for power, GMC has kept the usual 3.6L direct injection V-6 engine under the hood. 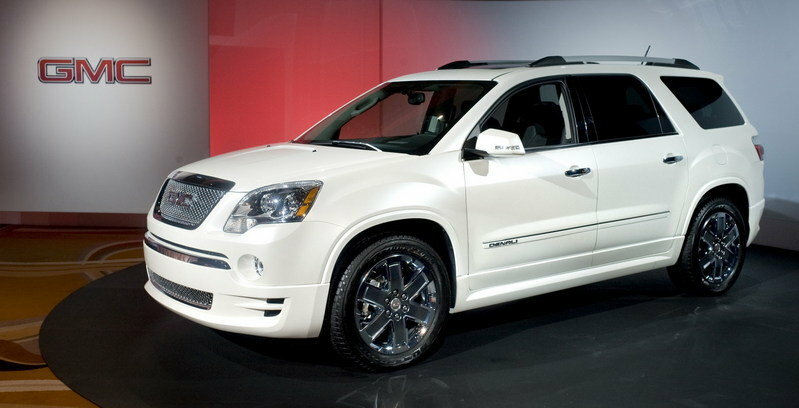 Hit the jump to read more about the 2013 GMC Acadia. 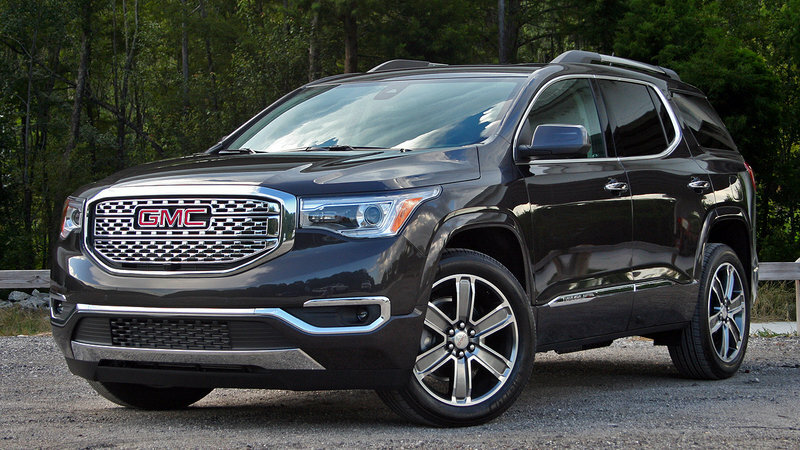 First launched in 2007, the GMC Acadia is being offered for the first time with the Denali line. The new Acadia Denali will go on sale in the third quarter of 2010 and will be available in both front-wheel drive and all-wheel drive models, as well as seven- and eight-passenger configurations. Acadia Denali is powered by a 3.6L direct injection V-6 engine with VVT mated to an advanced six-speed automatic transmission. The SUV will feature a mono-color exterior (Quicksilver Metallic, Summit White, Carbon Black, Red Jewel Tintcoat or White Diamond Tricoat) and chrome honeycomb grille, chrome accents, body-color fascias and fender flares, mahogany wood steering wheel and wood accents, lighted sill plates and 20-inch, two-tone chrome-clad wheels. 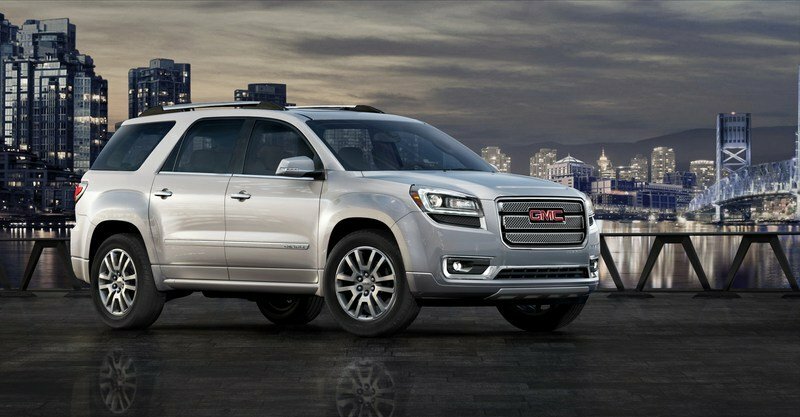 General Motors has announced that all the 2007 GMC Acadia and Saturn Outlook will be recalled because of potentially faulty airbag sensors. The recall affects all 13,032 of the vehicles on the road. The problem stems from a faulty sensor that controls the front airbags’ deployment. It will also prevent the vehicle from alerting owners of a malfunction. 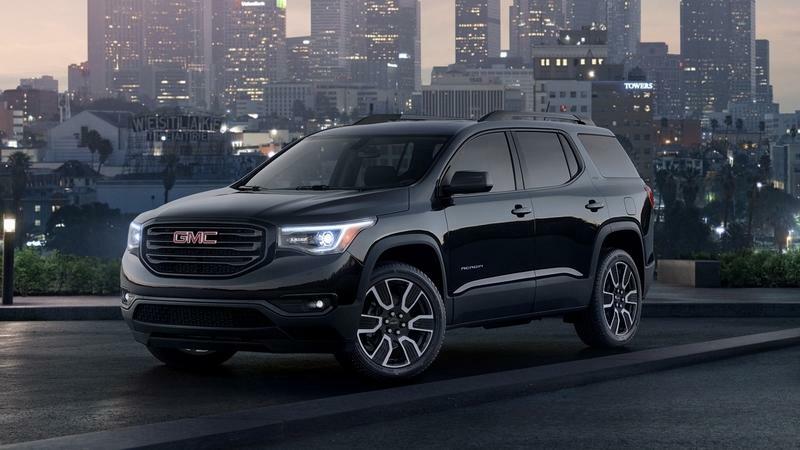 GMC announced today that pricing for GMC’s first crossover SUV, the all-new 2007 Acadia, will begin at $29,990 for a well-equipped front-wheel-drive model. 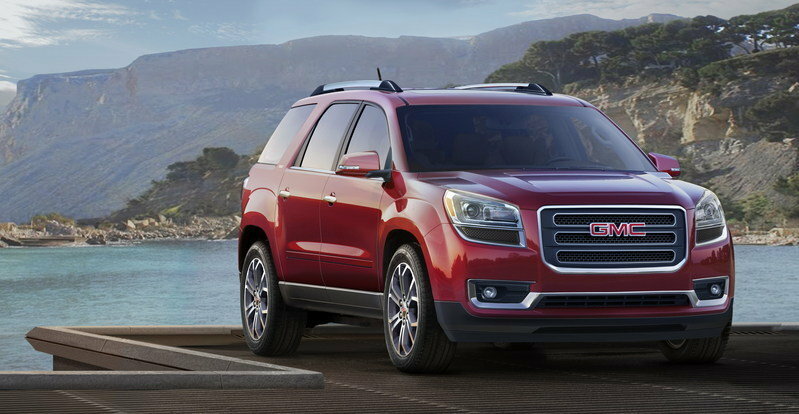 Today, GMC announced the all-new 2007 Acadia. It is GMC’s first crossover, delivering a smooth, responsive driving experience, athletic design, a spacious interior and a comprehensive safety package to the fastest-growing vehicle segment in the United States.